When is the best time to buy your first home? A recent article in the Sydney Morning Herald revealed that the national age of first home buyers in Australia has increased from 27 in the early 1990s, to 31, as of December 2017. This is according to figures relating to lending records and broader industry data obtained from ING Direct. While buying a home used to be considered a rite of passage into adulthood, the fact that people are buying property later in their lives across the globe (in the US, the median age of first-time real estate buyers stands at 32, and the average age is 30 in the UK) has made buying a home a decision that seems to be much more thoroughly thought through than it was in the past – as it should be. People have different reasons for buying their first property. Many consider monthly rent payments to be money thrown in the water, which could be better used as mortgage payments that lead to a person actually owning something tangible and being their own landlord. 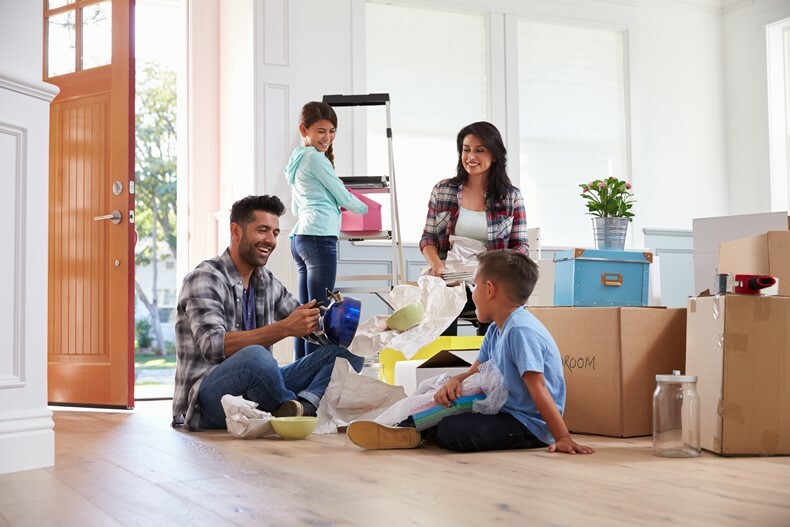 When you start considering the purchase of your first piece of real estate, it is important to take a good, hard look at how owning a home will fit into your long-term goals for your life. Also, make peace with the fact that buying a house is often a tedious and time-consuming process that should not be done in haste. Purchasing real estate is daunting for a number of reasons, the most significant probably being the fact that this is likely to be the biggest purchase you’ve ever made. As it is one of the biggest financial decisions you’ll ever have to make, it is useful to call in the experts for advice and assistance. Using an experienced real estate agent who understands the current economic climate, as well as the area they operate in, goes a long way to taking away some of the stress that comes with purchasing your first home. But we’re getting ahead of ourselves. There are a number of things that need to be considered before you eventually put in an offer to buy and call the movers. These tips will help you during every step of the acquirement of your first home. Before you even consider buying a piece of real estate, you’ll have to determine how much you can afford to spend on a home. Remember that you will have to consider monthly extras like insurance, maintenance costs and the initial service fees. Use a borrowing calculator, like this one from National Australia Bank, to obtain an estimate of how much money you could afford to borrow. This will determine your price range and will give you an idea of the size of the deposit you’ll have to have ready. Draw up a hard budget that takes the maintenance costs and mortgage into consideration. Although only 5% is usually required to prove to lenders that you have a satisfactory amount saved up for the acquisition of a loan that covers more than 80% to 90% of a property’s value, you should aim to save an amount that equals 20% of the property’s value, to use as a deposit. This saved up cash is known as genuine personal savings and doesn’t include things like an inheritance, cash gifts or government grants. Having genuine savings doesn’t just make it easier to secure finance for the purchase of real estate, it also means that you can put down a significant deposit on a home when the time comes, or ensures that you have extra money available to account for the extra costs associated with buying a home, like the loan application fee, conveyancing and legal fees, stamp duty, pest and building inspections, mortgage registration and transfer fees, mortgage insurance, and council and utility rates. Once you have established the size of the loan that you qualify for, you’ll need to contact financial service providers like banks and mortgage brokers to apply for a loan. These institutions have a definitive and standard way of determining which applicants qualify for loans. This includes making sure that you have the capacity to pay back the loan (by being employed full-time, and having been employed continuously for an extended period of time), determining what other assets you have that can be used as collateral, as well as taking into account how the credit policy of the financial institution you’re approaching pertains to you. When applying for a loan, it is of the utmost importance to be brutally honest in your application. Should you overstate your income or understate your expenses, the financial institutions you’re applying to will most certainly pick up on the mistake. Ultimately, not being honest about your income and expenses will mean that you will not be able to afford the repayments on the loan you’re applying for, and you might lose your newly purchased home. Try to get an idea of the loan options available from as many financial institutions as you can. Home loan options differ from bank to bank, and there are also various types of home loans available. Make sure that you have a comprehensive amount of realistic information available, so you are sure what the amount of capital is that you’ll have to work with when purchasing a home. It is worth looking into the First Home Owner Grant, which is a national scheme under which a once-off grant is payable to first home owners that satisfy a set of eligibility criteria. The First Home Owner Grant can save you thousands of dollars in fees and duties, and is too often overlooked by first home buyers. Once you have established what the amount is that you are qualified to borrow and what interest rate you are borrowing at, you’re ready to look at potential properties. If you have an idea of your budget, you can start looking for properties that you might be interested in purchasing. Do you want to buy a home that is exactly as you want it, or are you looking to buy something that you can renovate? Now is a good time to start making a list of requirements that you want in a home. These requirements should be non-negotiables that will make or break your decision to buy a house. Requirements might include things like the square footage of the property, its amenities and security, the location of the property and its proximity to schools, shopping centres, restaurants and access points for public transport. It is just as important to look into the efficiency of the local council, and potential infrastructure and building developments close to the suburb you are considering. The suburb you choose to buy in will probably have a significant effect on the price, and very often there is a sizable difference between property prices in neighbouring suburbs. Be willing to compromise on certain aspects, but make sure that you know exactly what you’re looking for before you jump in and start house hunting. Using a due diligence checklist like this one, compiled by the state of Victoria’s consumer regulator, will help to make sure you don’t miss anything. You can start looking for real estate in various ways: there are numerous online portals that list properties for sale, and the internet is a good place to start looking, but don’t forget to drive around the suburb you’re thinking of buying in and keeping your eyes peeled for homes with “for sale” signs. At this point on your real estate journey, it is also time to call in reinforcements in the form of real estate experts. A qualified and experienced real estate agent will be able to advise you about properties that are available in the suburb you’re looking to buy in, and will also be able to help you find something that adheres to your list of requirements. Finding the right real estate agent will require you to do some research, and there are certain attributes that you can look out for in this regard. Look for experienced and qualified real estate agents online, or ask around. Remember that a standard broker fee is applicable when you use a real estate agent to help you find a property, as well as commission based on a successful sale. This can be fixed or tiered commission, and commission structures may vary from agency to agency. Beware of property spruikers. These con artists pretend to be a one-stop shop for property buyers, but then swindle unsuspecting victims out of thousands of dollars by selling them an overpriced property that eventually sells for much less than was paid for it. Always ask to see a real estate’s accreditation and evidence of previous sales to ensure that you are working with someone you can trust. Now it is time to draw up a list of potential pieces of real estate that meet your criteria. Keep in mind that you will probably be living in this house for a number of years. Do you see yourself in this suburb and this house for the next few decades? As soon as you’ve decided on a suburb, have your list of requirements set up, know what your budget is, and have found a reputable estate agent, you can start looking at comparable properties to see if they match your budget. You can use online tools to research properties in your suburb of choice, or ask your agent for advice in this regard. During this step in the process, you might have to budge a little in terms of the suburb you’ve decided on. While you might really want to buy a house in a specific suburb, there are often much cheaper options available in nearby suburbs. An area that is sought-after now, often leads to adjacent areas also being sought-after in the years that follow. Buying real estate in an area that has the potential to become popular means that you will pick up property at competitive prices, and almost certainly make a profit, should you decide to sell later. At this point on your real estate journey, educating yourself is key. Read up about the different median property prices in the different states, but keep in mind that the Australian property market is always changing, and that the information you gather has to be current and updated. An experienced real estate agent is invaluable here. When looking at comparable properties, it is important to factor in all the variables and requirements that you decided on earlier. Use your checklist to identify properties that have the same characteristics as those that your ideal home would have, and are the same distance from amenities, schools, shopping centres and public transport. Share this list with your real estate agent, so that they can keep your requirements in mind when doing research on your behalf. Doing research about comparable properties in an area will give you an idea of whether you’ll be able to afford a property in your selected suburb or surrounds. If you realise that you will not be able to afford the property you want in the suburb you are looking to buy in, it may be time to take a careful look at your list again and adjust your requirements accordingly, or look for property in an area where it can be acquired at a lower price. Keep in mind that the initial list you drew up was essentially non-negotiable, though. It’s safer to compromise on the suburb, than it is to compromise on essential characteristics that you are looking for in a home. Buyers should also remember to keep unexpected extra costs, like inspection reports, Lenders Mortgage Insurance, solicitor’s costs and stamp duty in mind. When looking at the prices of comparable properties, remember that your budget also includes these extra costs. Do not overextend your budget to buy something you will, ultimately, not be able to afford. Author and residential property expert, Margaret Lomas of Destiny Financial Services, recommends viewing at least 12 to 15 possible homes before making an offer on any of them. Lomas also advises that you always have at least three properties that you would be happy to buy, to stop you from making emotional decisions and paying more than you want to because you want a property so much. You have now entered the most exciting part of the process, which is actually viewing properties at open houses. Use this opportunity to view as many houses as you can, and draw up that list of 12 to 15 potential options. When you are viewing a property, keep an eye out for construction, re-zoning or development within the area that might have an influence on the value of your property later. Inspect the property thoroughly for any faults or repairs that need to be done, as these can cost you dearly later. You can certainly expect certain basic repairs to be done on a house that is being sold – remember to ask about these when you view the property. Acquaint yourself with the neighbours and try to find out how many other residents in the vicinity are owners-occupiers – these people will be able to give you a good idea of what you’re buying before you buy it. When you have found the ideal piece of real estate and you’re sure that this is the property you want to buy, it is time to negotiate with the seller about the asking price of the home. First home buyers find this process especially daunting, as negotiating isn’t everyone’s strong suit. The most important aspect to keep in mind during the negotiation process is to keep emotions out of it. Many first home buyers make the mistake of finding a property that “feels” right to them, and forgetting about their requirements and budget. The result of this unrealistic way of looking at one of the largest purchases people ever make is that they buy a property without thoroughly and honestly considering all the factors, and later finding that they’ve spent money that they will not be able to get back should they decide to sell the house. Communicating clearly and honestly with the seller’s agent will assure the seller that you are seriously interested. Explaining that you are willing to buy the house at market value (and stating what you believe to be the market value of the property) will make it clear what your upper limit is. Before you make an offer on the house, you will need to arrange for building and pest inspections to be done on the property. This is an essential part of the buying process, and will also give you some negotiating power with the seller. Once you have agreed on a price, you can make an offer. After your offer on the real estate that you have decided on has been accepted, the settlement process still lays ahead. Many first home buyers tend to miss crucial steps in this final step to buying your first home. According to a GlobalX survey, 80% of buyers don’t understand how the property settlement process works, which is rather worrisome. Consult with you real estate agent to make sure you have completed all the final steps, which include handing over the remaining amount of the purchase price, transferring the title of the property and receiving the keys and possession of the property from the seller. During the buying process, you might come across terms relating to the real estate market that you are not familiar with. It is wise to acquaint yourself with all terms that you do not know the meaning of. Unfortunately, first home buyers tend to make certain mistakes time and again. Try to avoid these pitfalls. Once you have bought your first house, regular maintenance will help you avoid costly repair headaches later, and will also ensure that your property is always ready to put on the market again, should that be something you want to do. In this regard, experts advise that you ignore the housing market until you decide that you want to sell. Start an emergency fund and deposit a small amount into it every month. This will help you to be prepared for unexpected repairs and maintenance that come with owning a house. Buying your first house is a process that could take some time. Prepare for this, and embrace it – this is not a decision that you should be taking on a whim. Real estate can be an excellent long-term investment if it is done responsibly and with much consideration. Educating yourself about everything associated with buying a home before you embark on the actual house-hunting journey will set your mind at ease and make you feel more confident and assertive. First home buyers may find the process of acquiring their first piece of real estate stressful and disconcerting, but this needn’t be the case if they follow all the guidelines and steps in the buying process. Establishing what your budget is naturally leads to a house-hunting process that is well thought through and objective, without compromising on what you are ultimately looking for in a home. Finding an agent you can trust is a cardinal step when you buy your very first piece of real estate. However, a real estate agent who has the necessary expertise and experience is indispensable, whether you are buying or selling a home. Perfect Agent puts you in contact with qualified real estate agents with a track record that speaks for itself. Don’t be fooled by agents who are all promise and no action – let Perfect Agent help you to find an agent who will help you to sell your property as quickly as you want it sold. Simply fill out the form below to get in touch.